HomeExertion Games LabChannel 10 filming again! 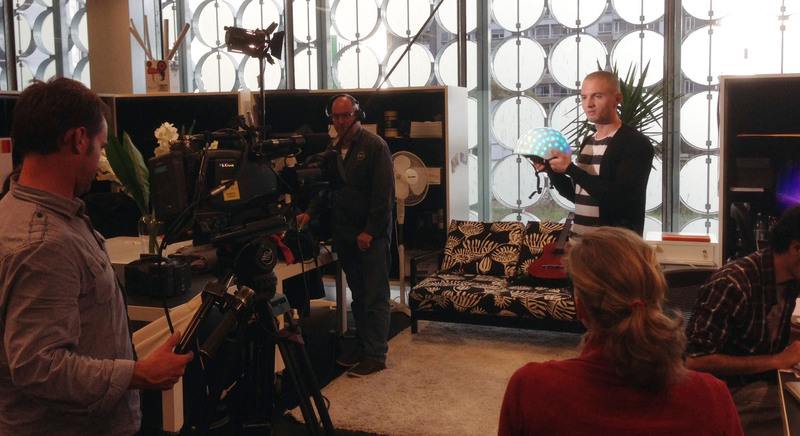 Channel 10 were in the Exertion Games Lab again, having just visited last week and filming our interactive skateboarding rig, this time they shot the LumaHelm, our illuminated helmet. The results were great shots around the Design Hub, including Chad riding his bike safely as he used the LumaHelm to indicate. The picture shows Sebastiaan explaining the technology.